Elegance, sophistication and luxury defined, Carpe Diem is an objet d’art all her own. Her signature interior by Carol Williamson and Associates simultaneously creates a sense of both drama and balance. There is a marvelous display of juxtaposition of design elements, joining opposing materials of Madagascar ebony wood with white onyx stone, varying textures of velvet, satin, and embossed Paltrona Frau leather. Showcased throughout the yacht are vintage fashion photographs, art deco antiques, and lavish furnishings. 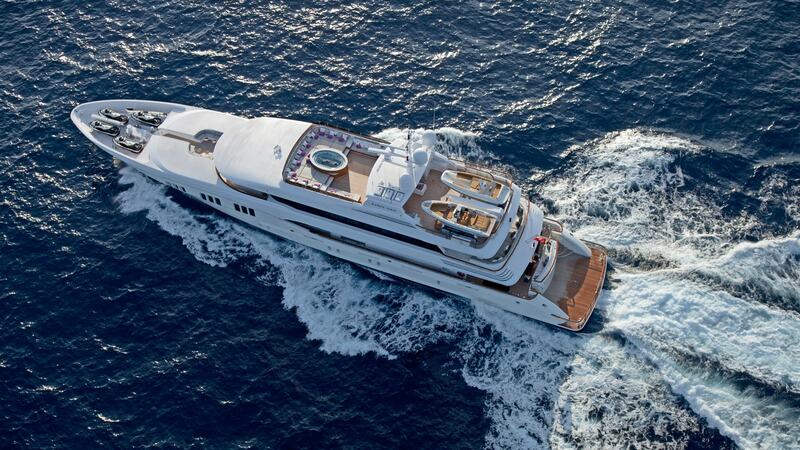 Find all Megayachts for Rent here!